What often gets lost in the excitement surrounding “green” energy, though, is that these technologies are not free from collateral damage to biodiversity and wildlife habitats. Wind turbines atop Appalachian ridges, for instance, may impact unique mountain-top habitats, and they are known to kill birds and large numbers of migrating bats. As pressure has been building on wind farm operators to address this problem, basic steps are being taken to help reduce the impact. Common sense solutions like shutting down the turbines on relatively calm nights are apparently effective at reducing bat kills, for example. Biofuels are not without their problems, either, but the problems have largely gone unrecognized, and the solutions are not as straightforward. From a climate change perspective, one major issue is the increase in emissions caused by land use changes associated with biofuel production. This is the focus of a current campaign by the Union of Concerned Scientists. At the “Take Action” section of their site, you can personalize and send a letter to the EPA, urging the agency to consider land use changes when calculating life-cycle analyses of biofuels for the agency’s Renewable Fuels Standard (RFS). What the UCS letter doesn’t directly address is the impact of those same land use changes on other ecosystem services, wildlife habitat, and biodiversity. European studies have shown that production of biofuel crops such as corn in the amounts necessary to meet EU targets is generating significant negative impacts on biodiversity. The production of so-called second-generation biofuels from grasses is somewhat less detrimental, but still far from ideal. As cellulosic biofuel production becomes more cost-effective and energy efficient, switchgrass, a high-yield, perennial grass, is poised to become an important commodity here in the U.S.
Switchgrass (Panicum virgatum) is a tall, native warm-season grass that was once widespread throughout the American tallgrass prairie. Today, many cultivars are available, and the species is used for conservation plantings and wildlife habitat, providing valuable food and cover for birds and other wildlife. So what’s the problem? When grown in a monoculture, as required for harvesting for biofuels, switchgrass is only marginally better wildlife habitat than corn, or any other crop. Native prairies were historically very diverse plant communities, with species composition maintained by periodic fires. Structurally, native grasslands varied in density and height based on fire history, soils, and other factors. Many grassland birds of conservation concern require patchy bunchgrasses with some bare ground in between plants. Native bees require a diversity of wildflowers that bloom at different times throughout the year, as well as access to bare soils for nesting. Butterflies all require different species of hostplants on which their caterpillars can grow. In short, grassland biodiversity depends on both structural and species diversity of the plant community. Monocultures just don’t cut it. So what’s at stake? The concern of many conservationists (myself included) is the potential conversion of privately-owned land that is currently enrolled in federal conservation programs to switchgrass monocultures for biofuel production over the next couple of decades. Over 33.5 millions acres are currently enrolled in the USDA program called CRP (Conservation Reserve Program), which pays farmers an annual rental rate for retiring land from crop production and planting it to wildlife cover. CRP contracts typically tie up the land for 10 to 15 years. Currently, CRP land management is governed by contract stipulations that prohibit disturbance during the breeding season, and encourage wildlife use of the acreage. 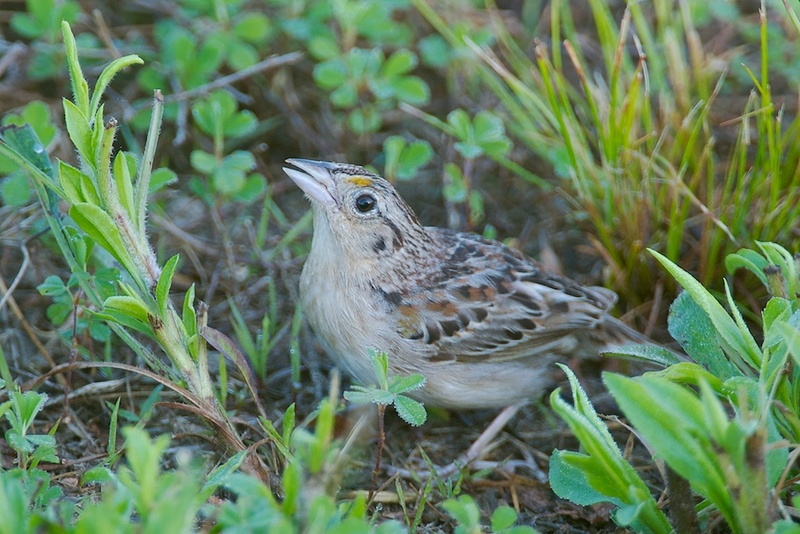 Many studies have shown that CRP land is vital to sustaining grassland bird populations. Pollinating insects, reptiles and amphibians, and other fauna benefit from these habitats as well. According to USDA figures, almost 60% of the current active acreage in CRP will see contracts expire by the end of 2013. With the signing of the 2008 Food Conservation and Energy Act (aka the Farm Bill) the CRP cap (maximum acreage to be enrolled in CRP) was already reduced from 39.2 million acres to 32 million acres beginning in 2010. Thus a mandated net loss of over 4% of current active CRP acreage is already slated to occur in the near future. While some of the expiring contracts will be renewed under the new acreage cap, if prices for biofuel commodities rise high enough, a large amount of CRP land may be lost when owners decide not renew, but to seek “greener pastures” in switchgrass or corn production for biofuel. A mass exodus of from the CRP program would be a disaster for conservation of grassland species in North America. In addition, there is the possibility that the USDA could change the rules for CRP contracts at some point in the future to allow switchgrass production on CRP lands. 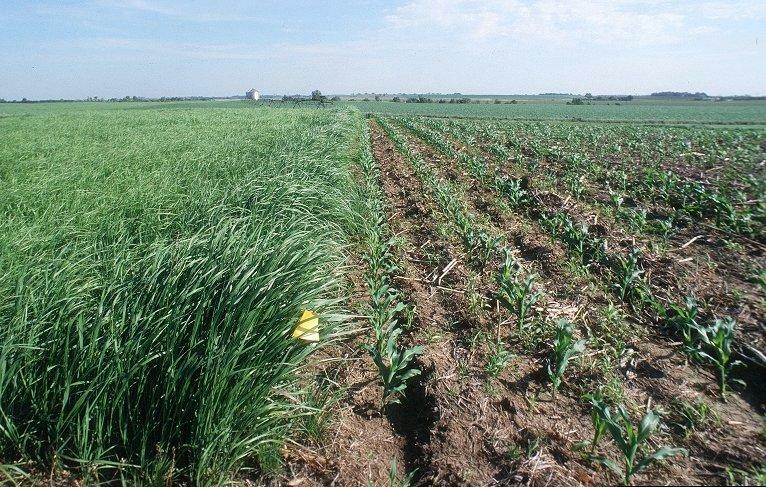 Over at the Biofuels and Bio-based Carbon Mitigation Blog of the School of Natural Resources and Environment at the University of Michigan, Kristen Johnson wrote a great post discussing the potential magnitude of the conversion of CRP lands to switchgrass production for cellulosic biofuel. She states that acres currently in corn are unlikely to be converted to switchgrass, since EPA guidelines call for a continued increase in corn-based ethanol production in the near future. As long as the prices of other commodities like soybeans are high, that leaves only pastureland, hay production land, and CRP land as prime targets for conversion to biofuels. Compared to cropland, these land uses are all of much higher value to wildlife. The take-home message here is this: if you value grassland habitats and the wildlife that depends on them, keep an eye on this issue. While the Union of Concerned Scientists letter doesn’t specifically address habitat loss, it does shed light on the emissions consequences of biofuel production, and is a step toward helping our public agencies recognize that biofuels are not free of collateral damage. You can view the letter at the Union of Concerned Scientists “Take Action” site.